DAVID LE/Staff Photo. 6/19/15. The Art of Sculpture exhibit is on display outside on the front lawn of the Peabody Institute Library on Sylvan Street in Danvers. 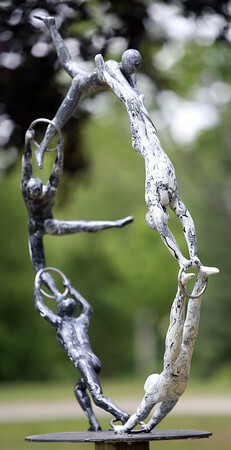 This piece is "Circle of Life" by David Millen.